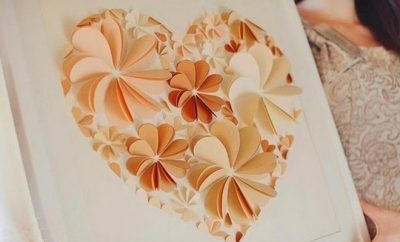 The best gift is the one that is made from the heart! 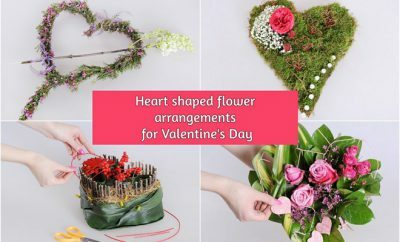 Therefore, we suggest you to surprise your spouse with something special, personal or made with your own two hands. When you put all your love into creating something handmade for a particular person, it becomes a precious gift. 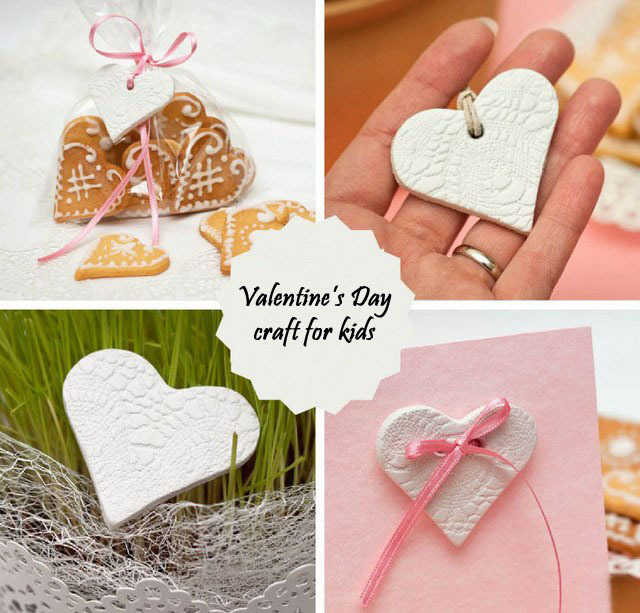 Cute and creative, use this idea for Valentine’s day craft for kids to spice up gifts by using polymer clay hearts. 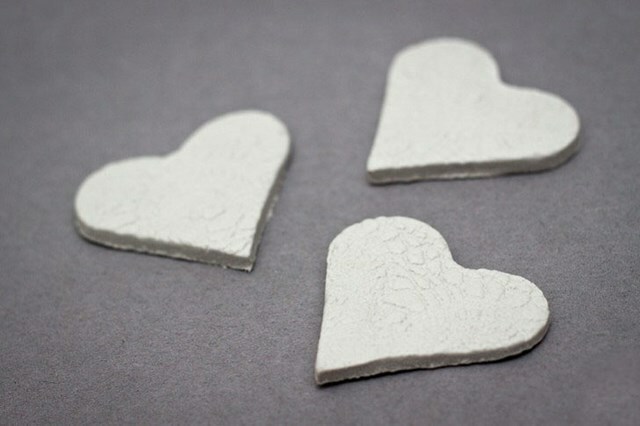 The little ones would love making pendants and cookies in a heart shape! 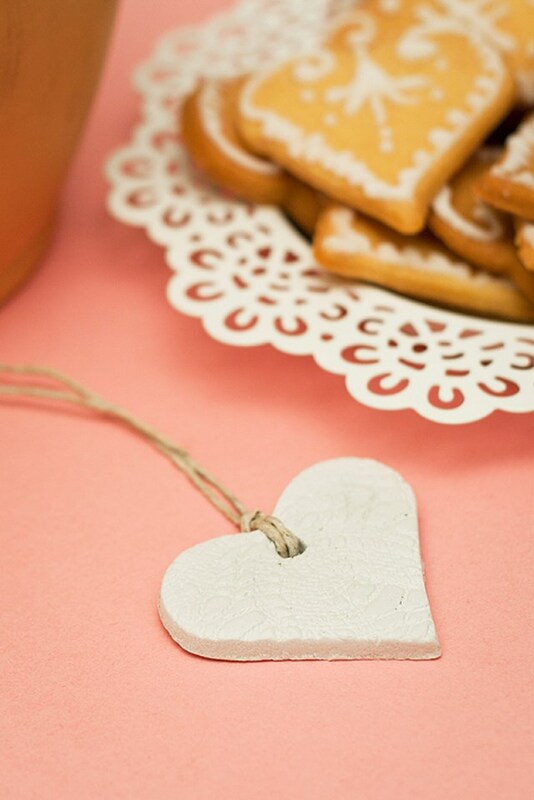 You will need polymer clay, a piece of lace and a heart shaped cookie cutter. 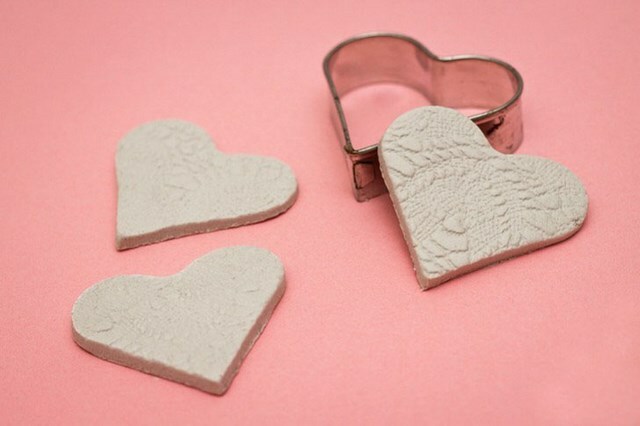 The mini hearts made from polymer clay for your loved ones and relatives are suitable for many occasions, especially for Valentine’s Day. 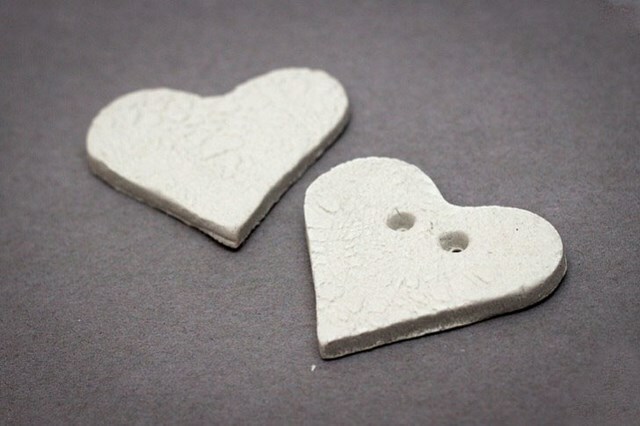 Create a polymer clay heart with lace texture, which can be used as a pendant for a necklace or an ornament on gift boxes, Valentine’s day cards, place cards, etc. Place a clear page protector on a flat surface and tape its ends to secure it. Roll the clay well with a rolling pin on the page protector so that it won’t stick on the table. 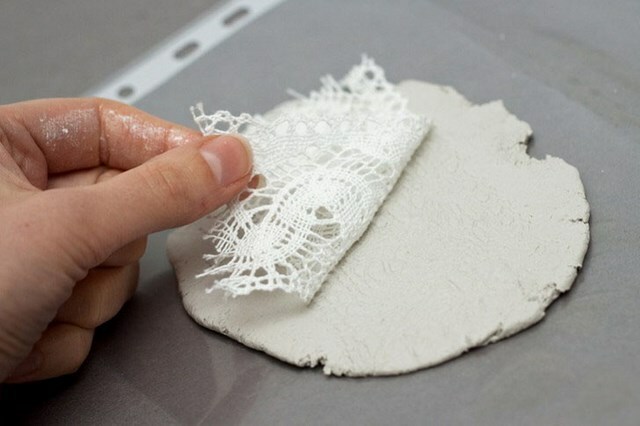 When the polymer clay is rolled out to the desired thickness (it should not be too thin, so that our heart do not break), place a piece of lace on top of it and press gently with the rolling pin. Then carefully remove the lace. 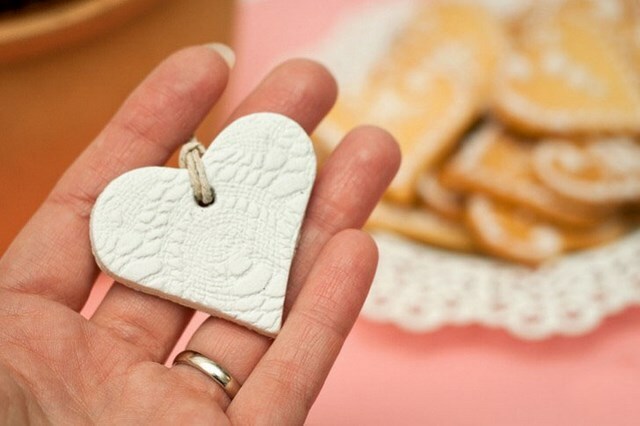 From the resulting polymer clay with lace texture, cut out a heart with a cookie cutter. Depending on its purpose, make a hole or two with a pencil, so that you can tie it on a string. 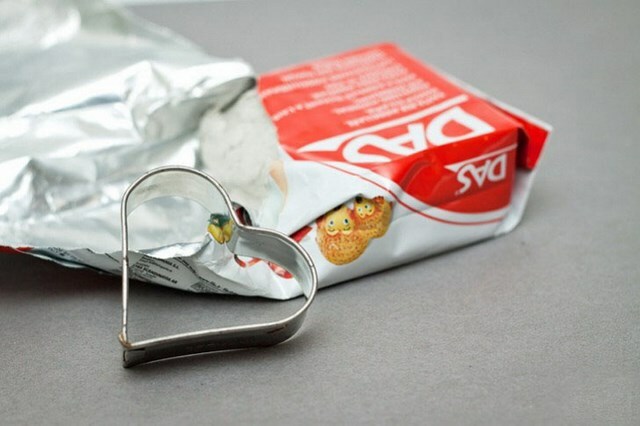 In order to implement this unique Valentine’s day craft for kids we suggest you to bake cookies the form of hearts as well. 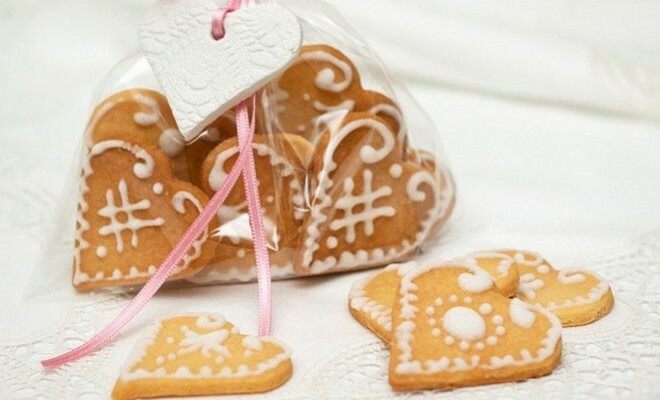 Pack them up into a cellophane bag and decorate with thin pink ribbon, where is placed the cutie from modeling clay. 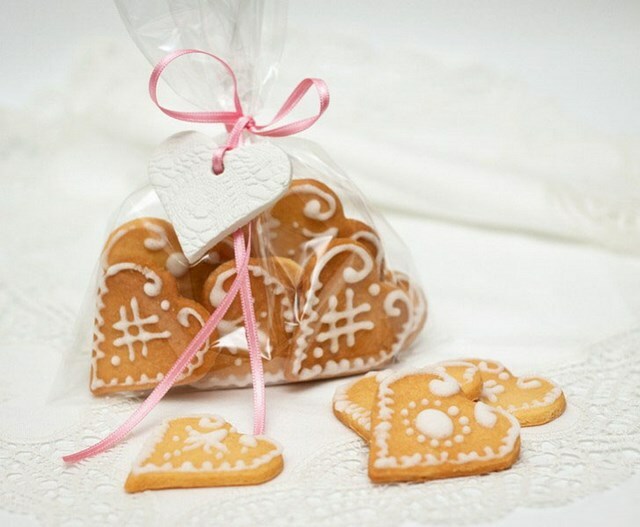 Afternoon tea with homemade heart shaped cookies. 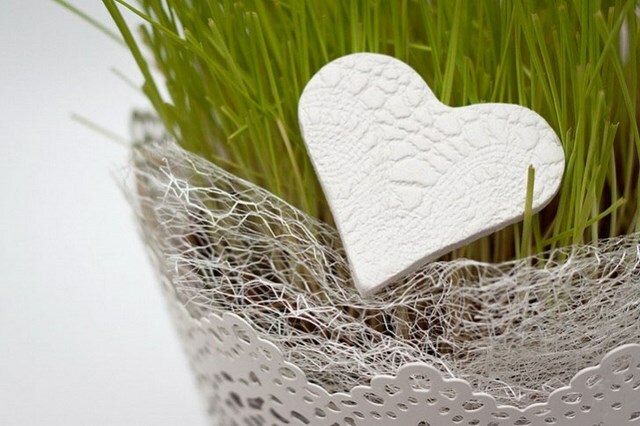 Our lace hearts can also beautifully decorate a flower pot or just be the latest addition to your beautifully decorated home. 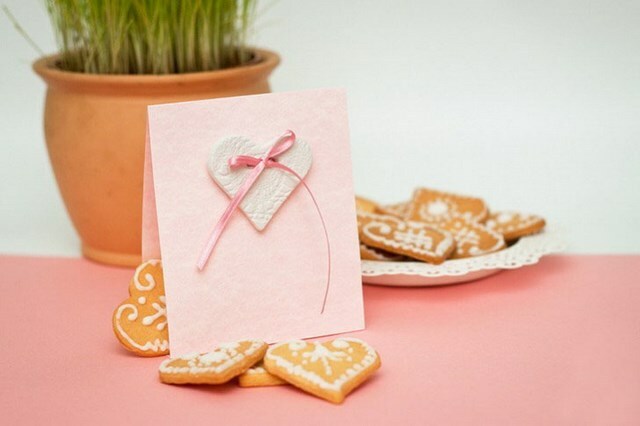 Simple but elegant greeting card can also be a nice gesture for Valentine’s Day. 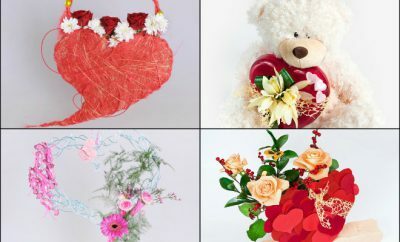 However, if the heart hang on a metal necklace or even a natural string, you get cute necklace for your little girl. 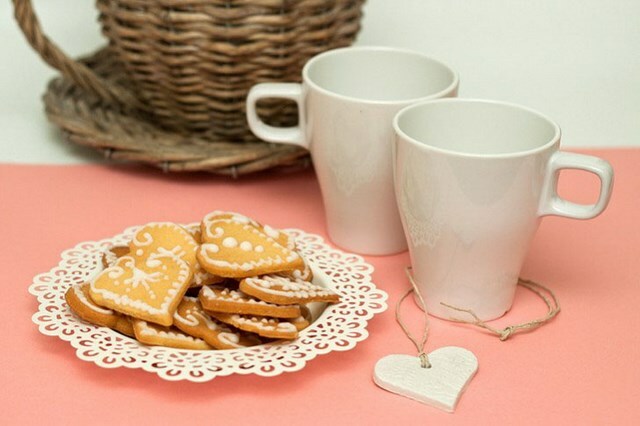 The lace pattern is really versatile and perfectly suitable for many other decorations such as thank you gifts, for parties, weddings and so on … You can experiment with different colors, too. We wish you a lot of creative inspiration! ← Previous Story Funny DIY Valentine’s Day gift for him – Decorate his socks!